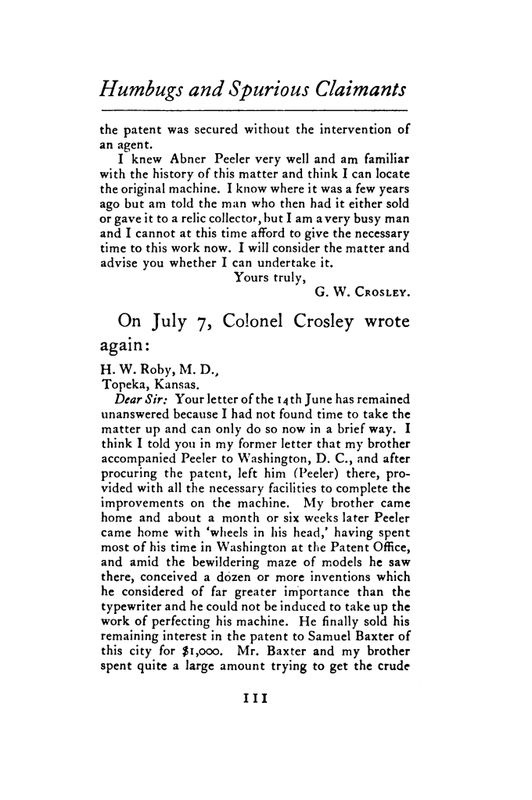 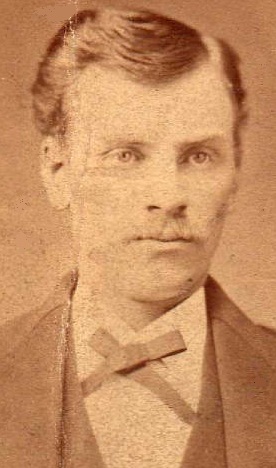 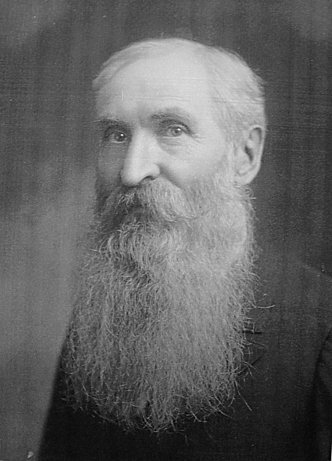 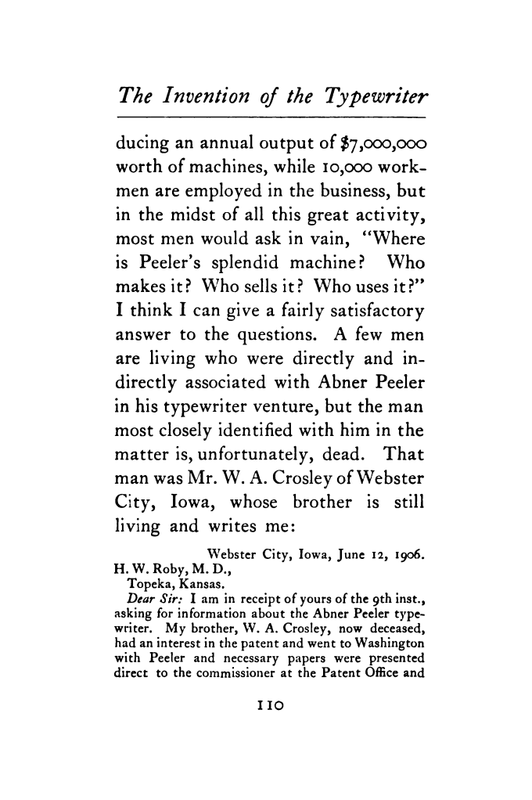 Abner Peeler was born on January 15, 1836, in Russellville, Schuyler, Illinois; he died on November 2, 1895, in Leheigh, Webster, Keokuk County, Iowa. 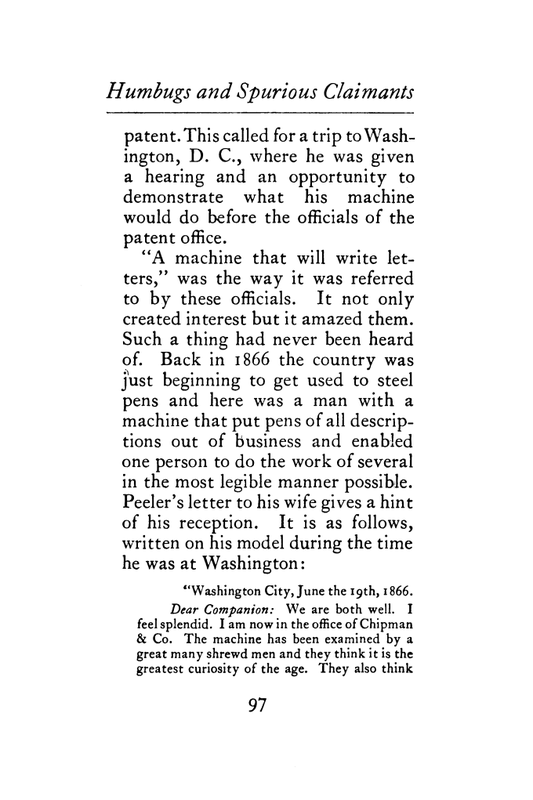 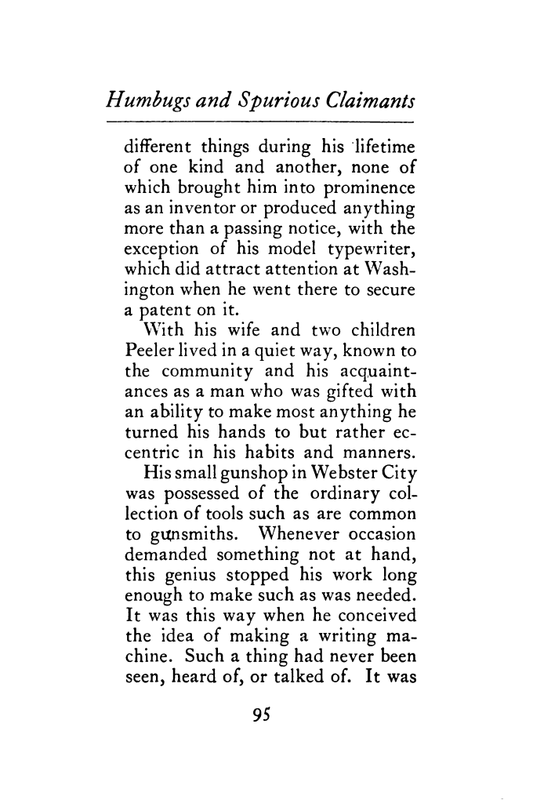 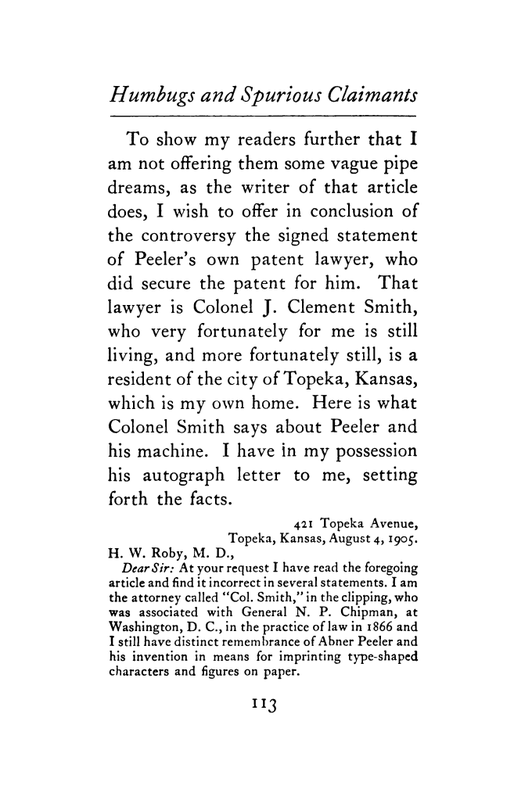 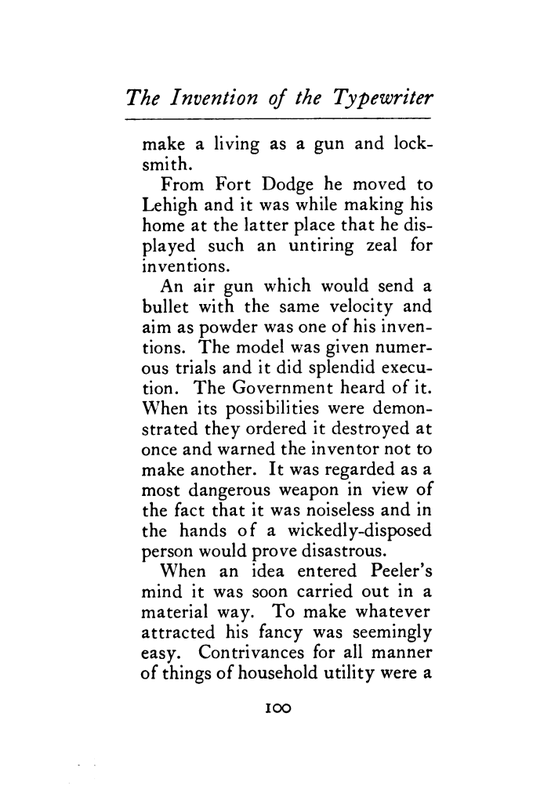 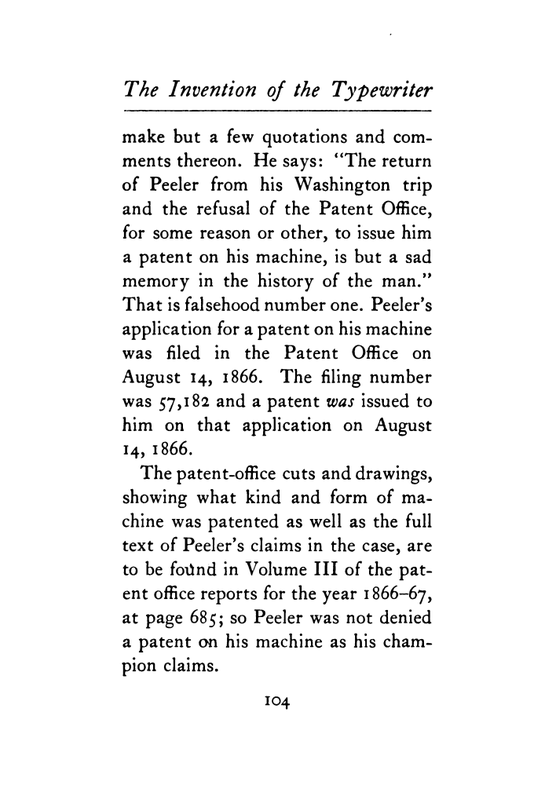 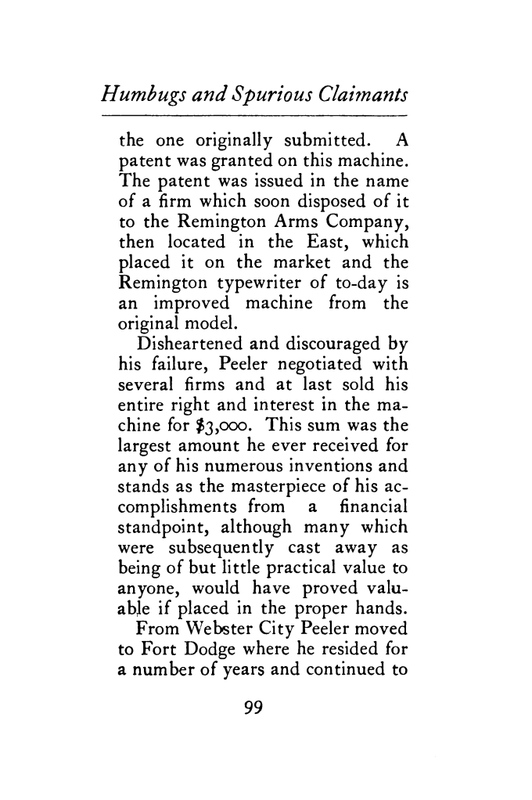 He told the Fort Dodge Chronicle in 1893, "It is safe to say that there is not a typewriter in existence today that was not foreshadowed by one of the seven I made during the nine years from ‘57 to ‘66." 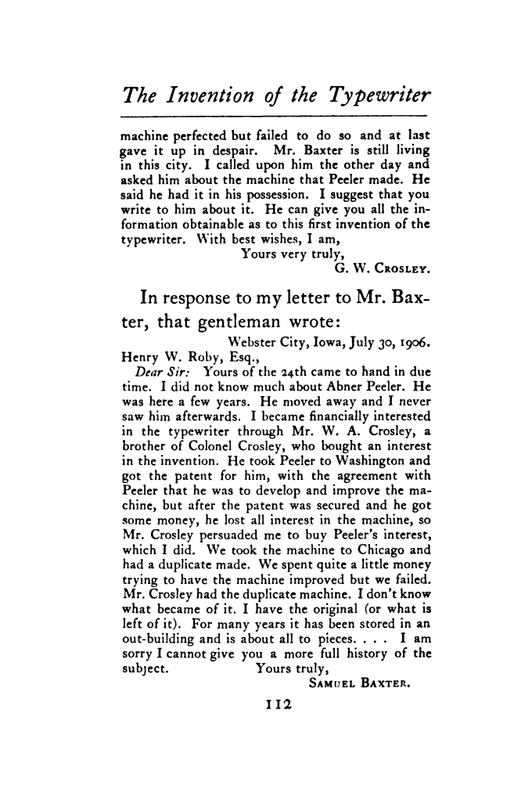 At the same time he claimed to have written "the first letters for the mail that was written with a typewriter." 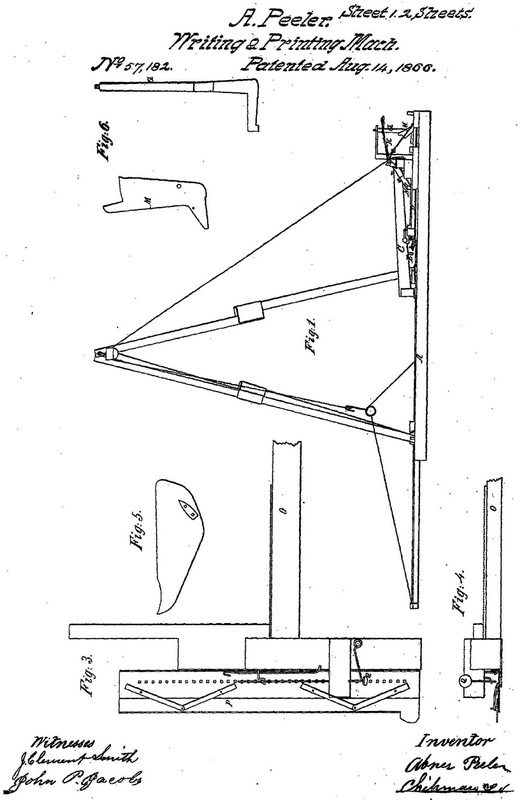 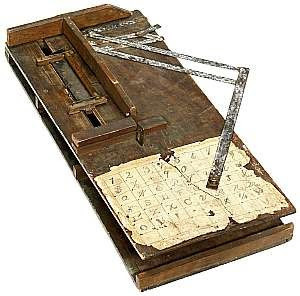 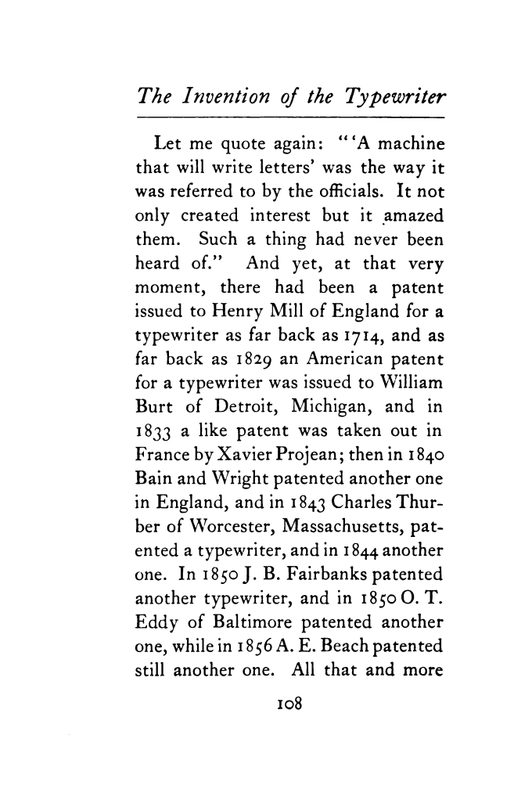 At that time Countess Carolina Fantoni da Fivizzano's letters written on Pellegrino Turri's typewriter in 1808, or William Austin Burt's letters of 1829-30, had not re-surfaced. 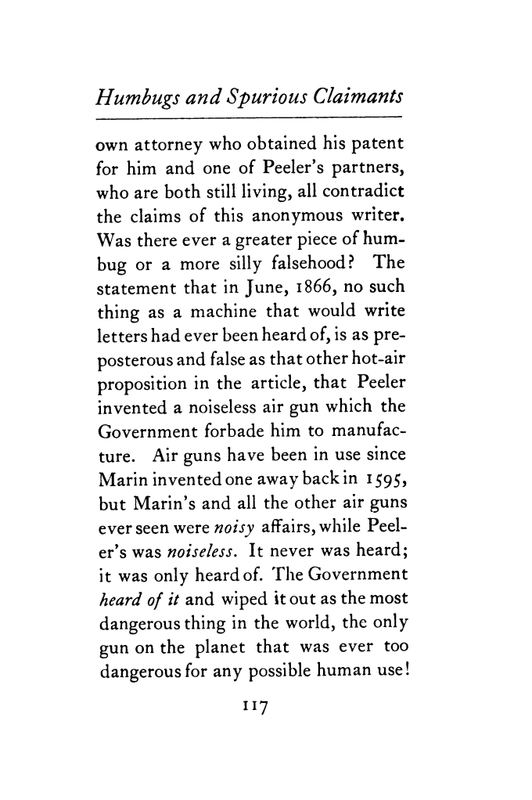 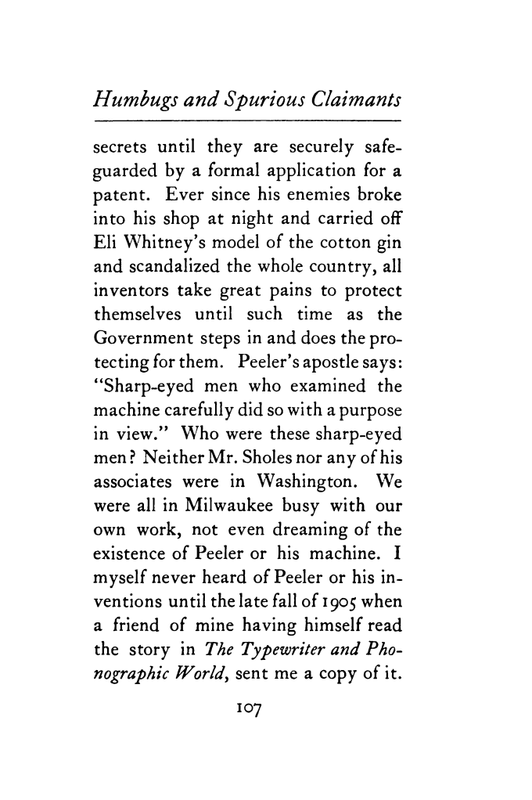 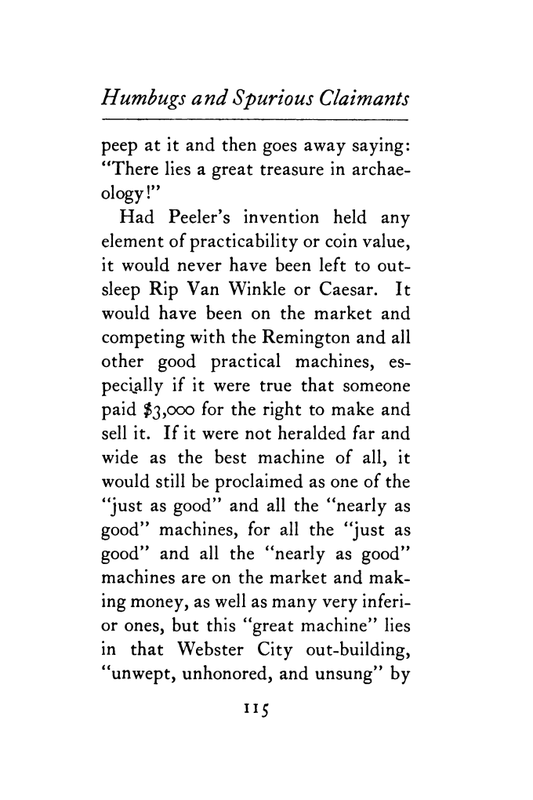 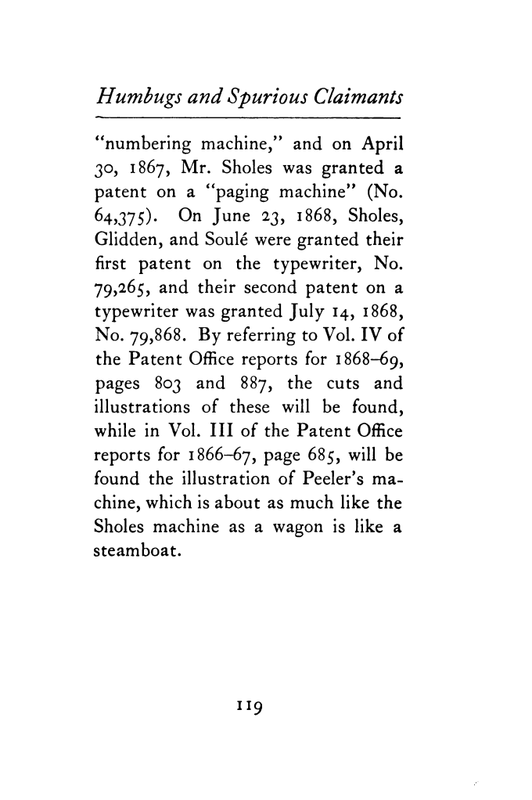 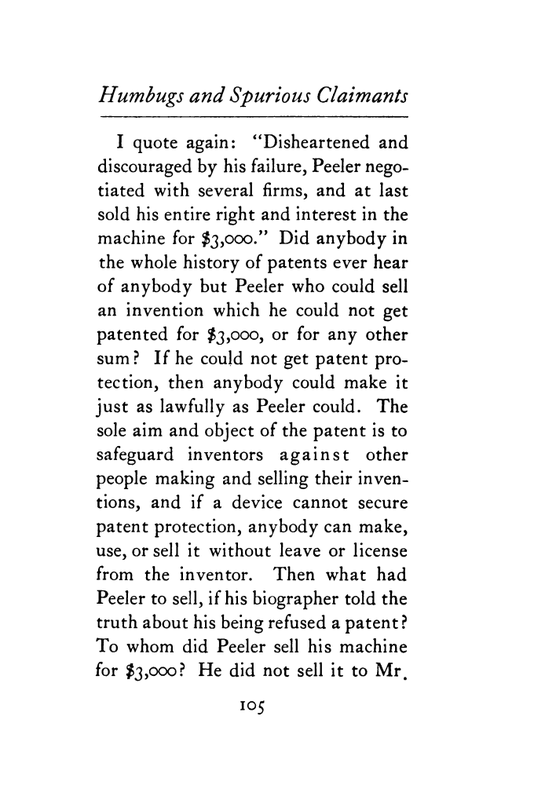 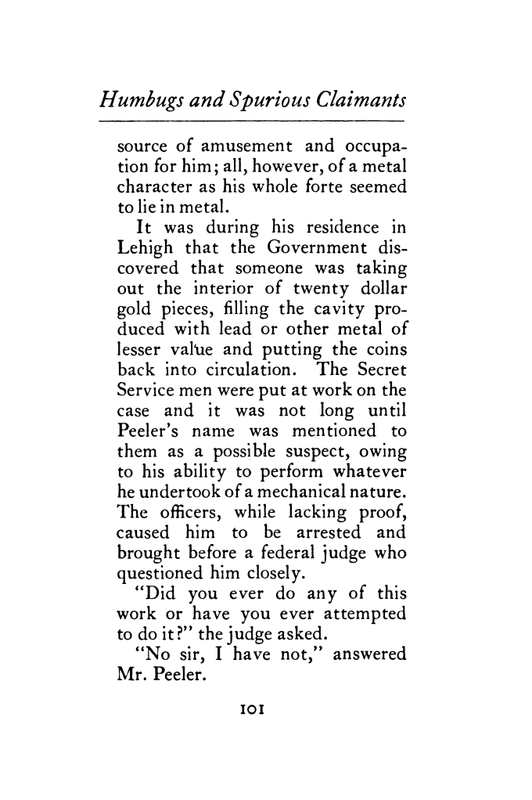 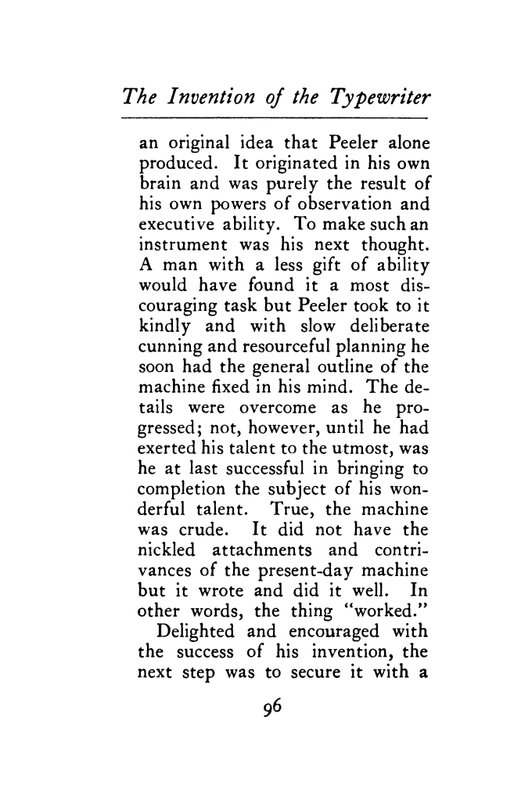 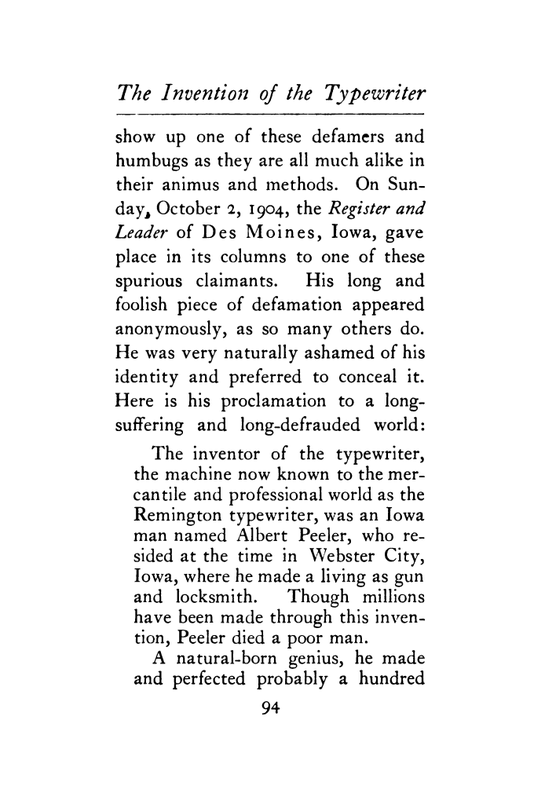 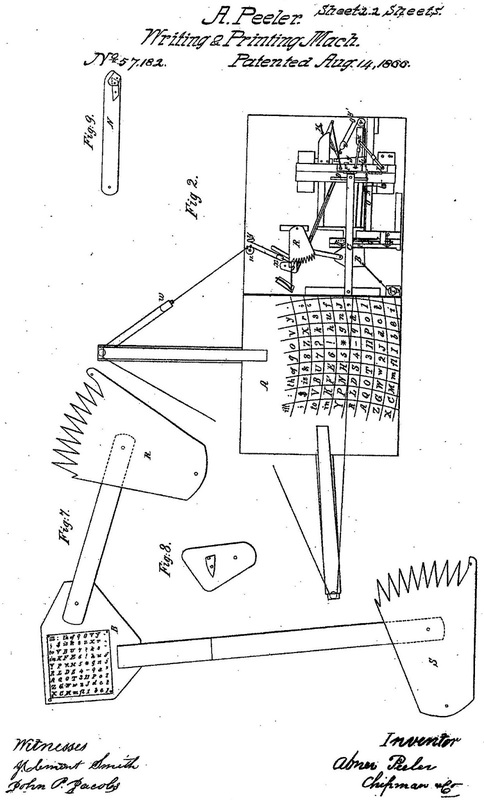 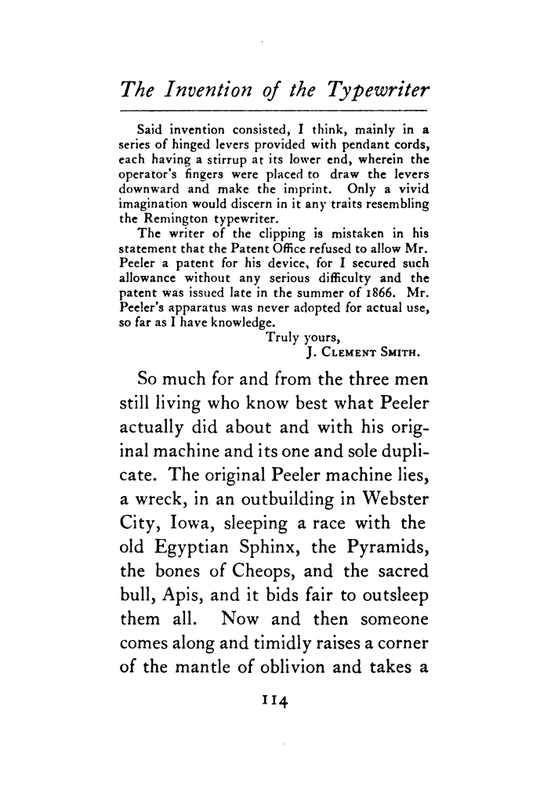 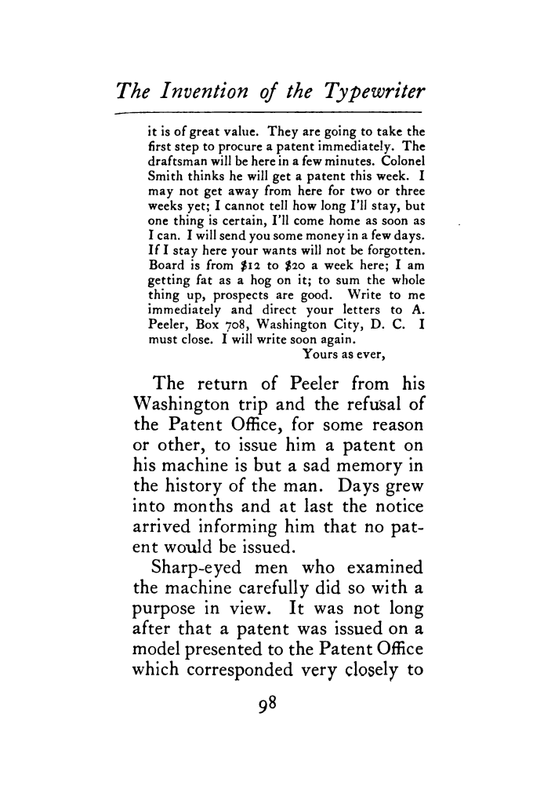 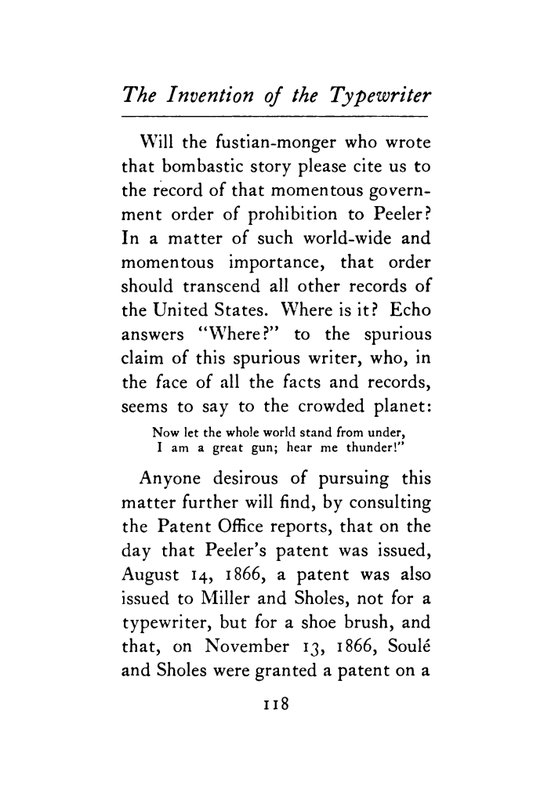 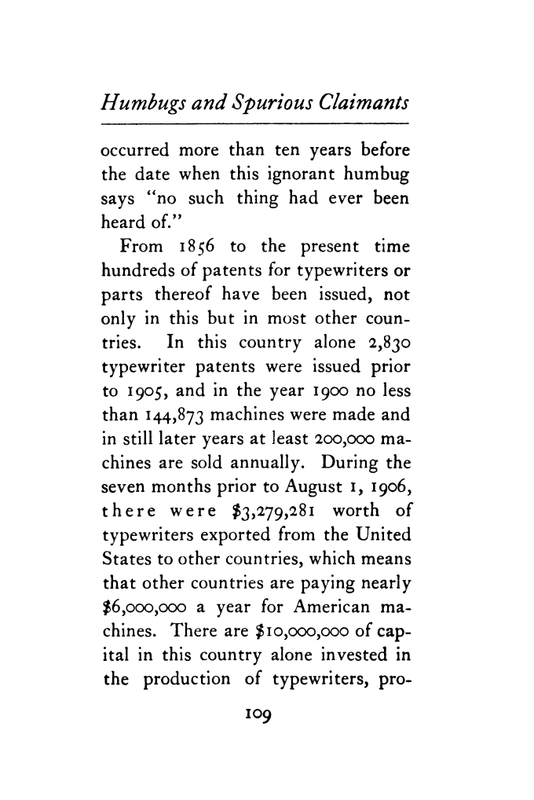 On October 2, 1904, the Iowa Register and Leader published an article titled, "Millions Evaded His Grasp, The Typewriter was the Invention of an Iowa Man". 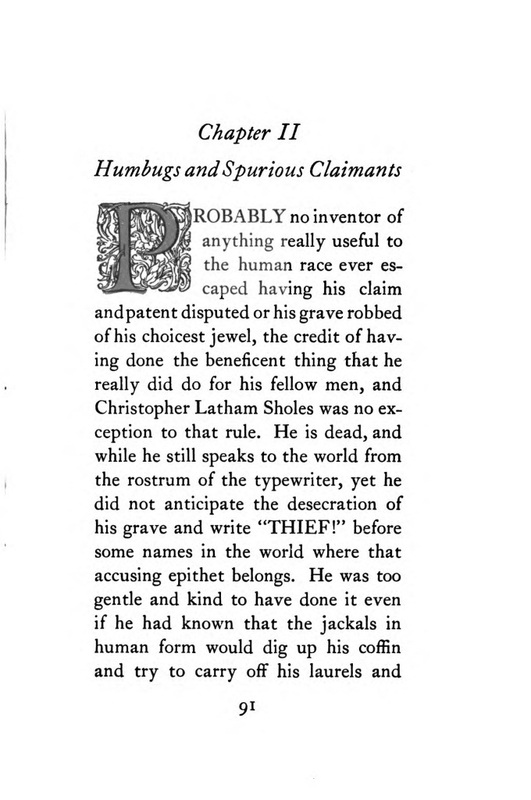 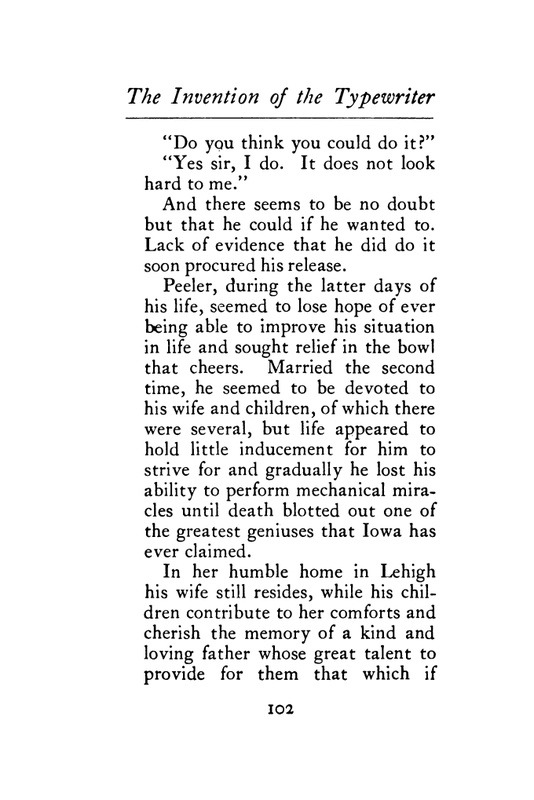 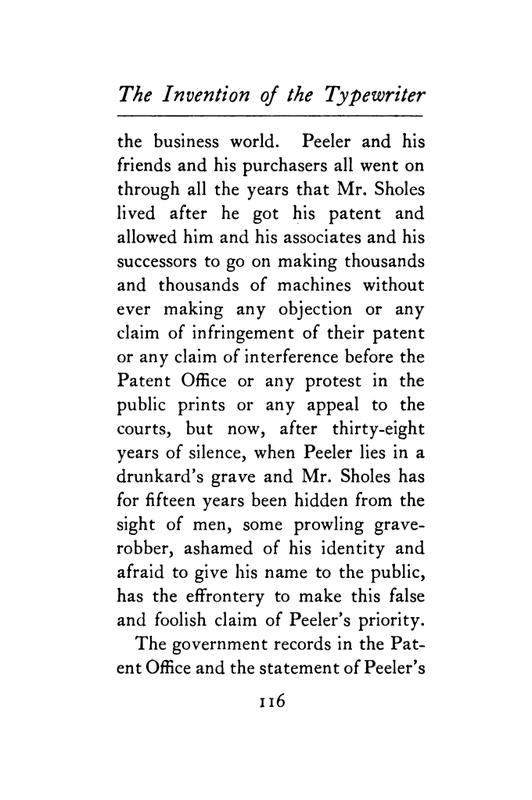 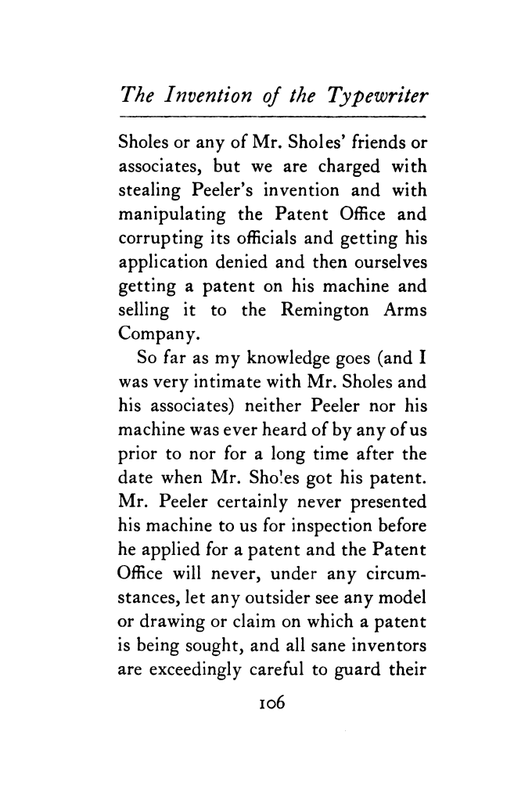 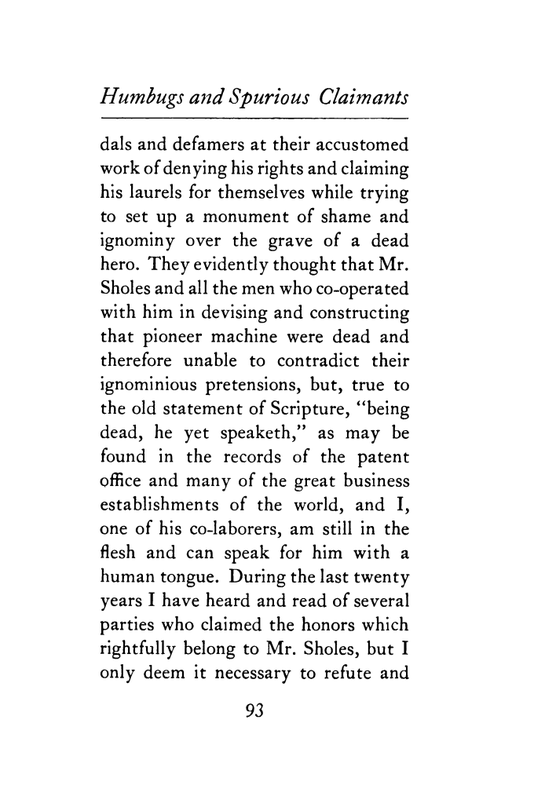 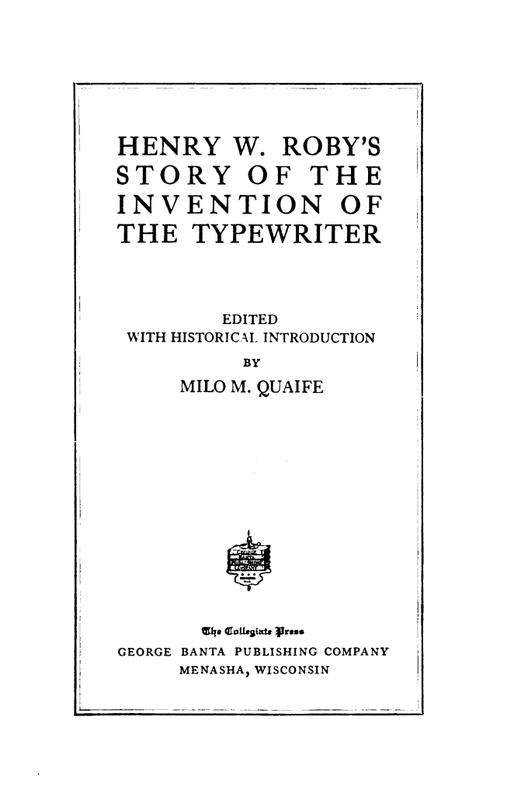 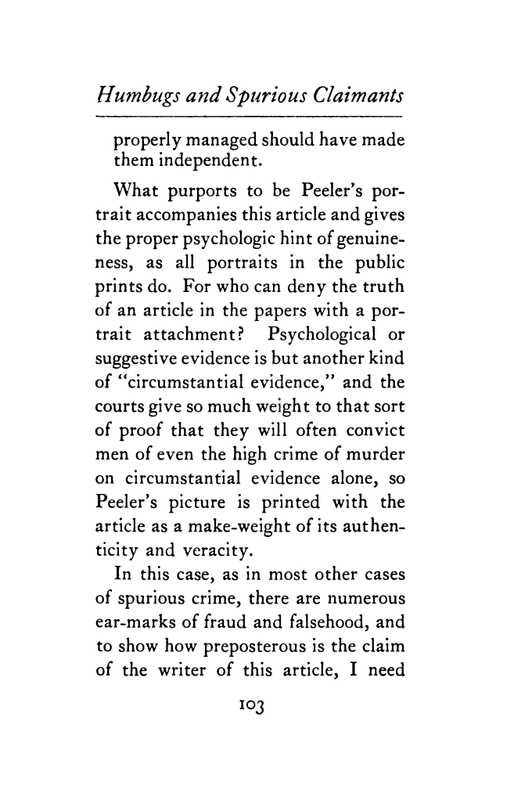 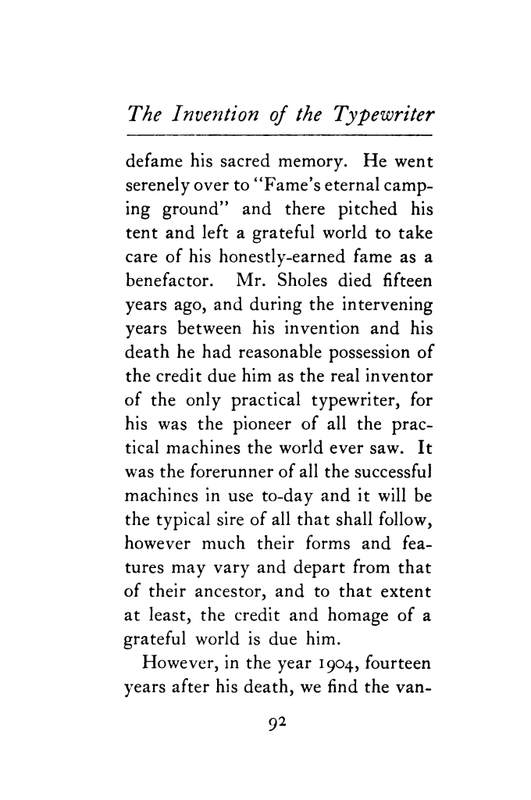 This is the article which Henry Roby read, leading to him writing his recollections of the development of the Sholes & Glidden, which were completed in 1905.